Lyon’s riverside park dedicated to sports, family leisure activities, picnics, plants and flowers. 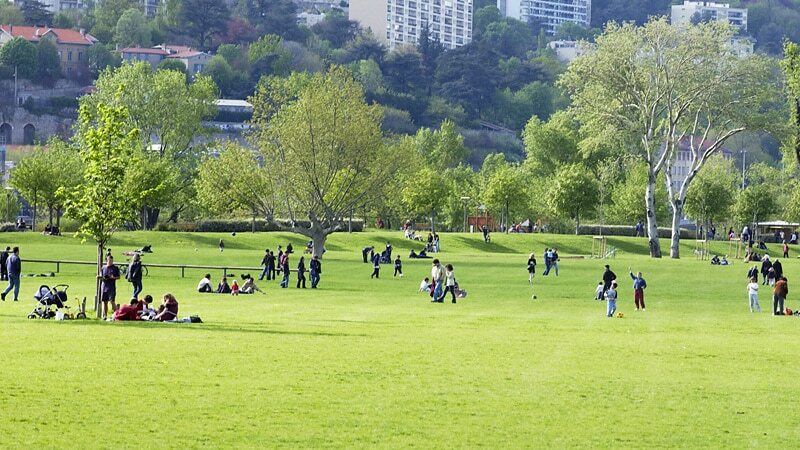 Parc de Gerland, also called Parc du Confluent, is a large green space in Lyon situated on a former industrial site in the south of the city near the confluence of the Rhône and the Saone. It came about thanks to a remarkable redevelopment which began in 1996 and includes 200 acres of open playing fields, walking and bike trails, a skatepark and plant and flower gardens. The park area is situated next to the Stadium of Gerland, former home to Lyon’s football team Olympique Lyonnais and home of LOU Rugby as well as the Palais des Sports, an indoor sporting arena and la Plaine des jeux, an area of football, rugby and hockey fields. The gardens were designed by landscape gardener Michel Corajoud and consist of a series of gardens bordered by canals, allowing visitors to walk through a series of six thematic plots of perennial, annual and biennial plants. The project is managed by Grand Lyon. The House of Flowers is a great place for garden lovers. It’s a site dedicated to environmental education and there is an exhibition centre dedicated to nature and the world of plants. It is overseen by Lyon’s Botanical Gardens which are located in Le Parc de la Tete d’Or. It is open to the public between April 1st and October 31st and admission is free. For more information on opening hours and reservations please see the House of Flowers website. Parc de Gerland is a great place to enjoy various sporting activities or take a stroll around the beautiful gardens. It’s a fun place for all the family. The Skatepark of Lyon is a city owned building, managed by ADRSB, an association for the development of skateboarding, rollerblading and BMX bikes. 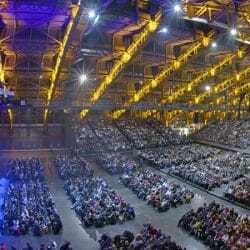 It is an indoor area of 1500 square metres and was entirely renovated in the summer of 2015 to include three major zones: bowl, street and aerial. There is a one time membership fee of €15 which includes helmet rental and after that an additional €3 to €5 per visit depending on the time of day. See website for details: Lyon Skate Park. 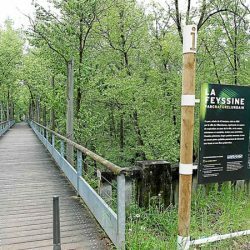 The park can be easily reached by the cycle path which runs along the east side of the Rhone between Le Parc de la Tete d’Or and Gerland or take the metro, line B, to station Stade de Gerland or take bus #60 and stop at Université Lyon 1 Gerland.